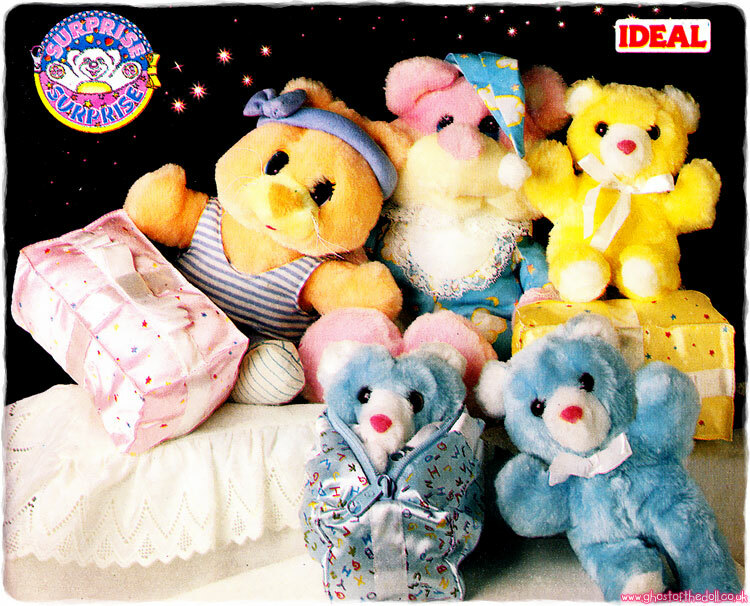 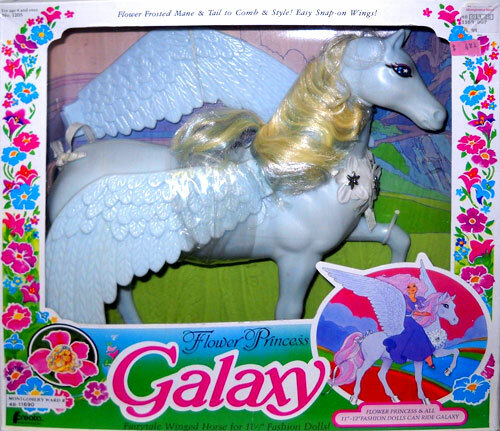 The series re-emerged in 1997-99 (G2) with new look ponies, then again in 2003 (G3) with another design over-hall, and yet again in 2010 (G4) with another change in style. 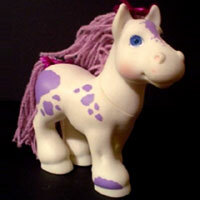 The only ponies listed here are the G1 line, with the main focus on the US release with UK variations. 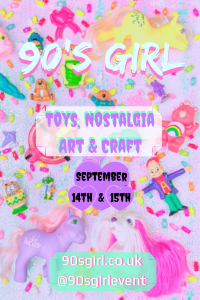 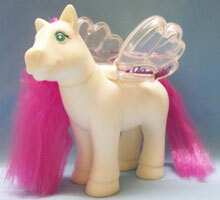 MLP items are grouped by production year and divided into Ponies, Special Offer Ponies and Accessories & Playsets. 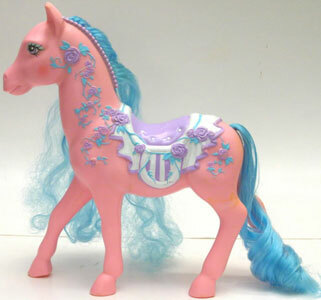 I have noted were ponies & playsets were (or weren't) produced for the UK as best possible, plus added in as many Euro/other variations as I can find. 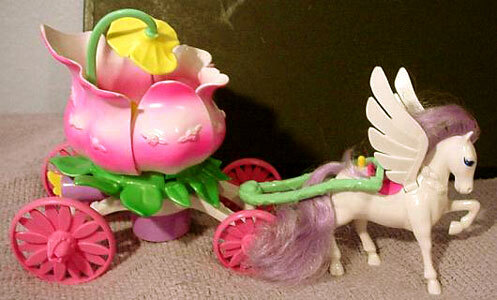 Related lines Dream Beauties, Li'l Litter and Petite Ponies have their own sections. 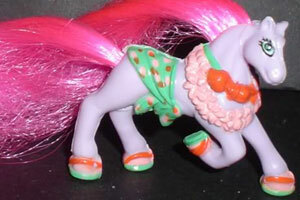 The first year of production saw the release of six Earth Ponies. 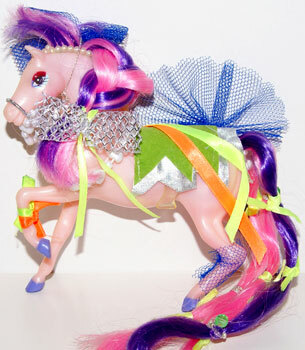 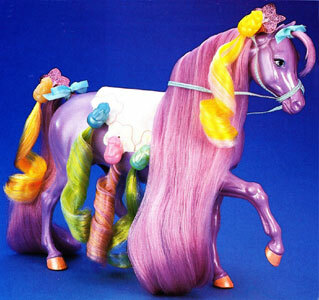 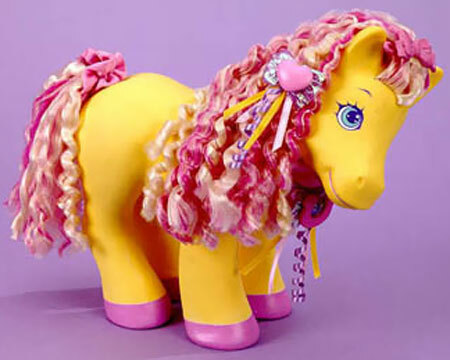 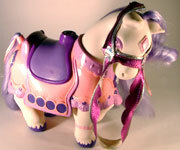 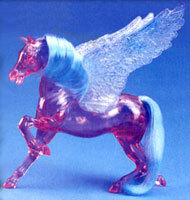 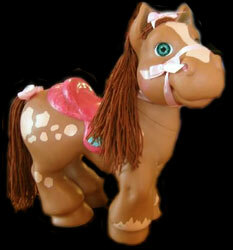 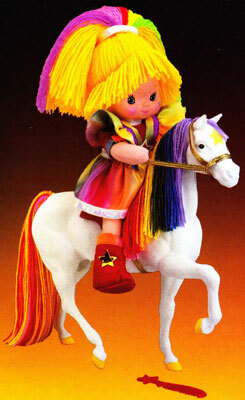 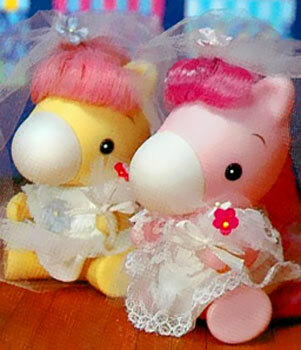 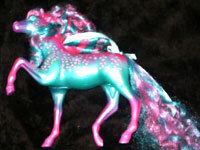 They were based on Hasbro's 1981 toy called My Pretty Pony, a 14" hard plastic pony with brushable hair (see bottom).